Spectraglass sight glasses are used as viewing windows in a variety of enclosures and pressure vessels. In addition to pressure they may be required to withstand high temperatures, thermal gradients, severe thermal shock, and the corrosive effects of chemical reagents. We have plant and equipment, including our water-jet cutting machine and CNC machining centre, to produce diameters between 3mm and 1500 mm, and thicknesses up to 25mm. Where a greater degree of chemical resistance or higher operating temperatures are required, a borosilicate glass should be specified. In a toughened form, temperatures up to 315°C are possible whilst annealed glass may be used up 400°C continuously with a short term maximum of 500°C. When extreme temperature is the main criteria, this material allows continuous operation up to 1160°C and short term to 1300°C. It also has good resistance to thermal shock due to its low co-efficient of expansion (0.55×10-6°C). 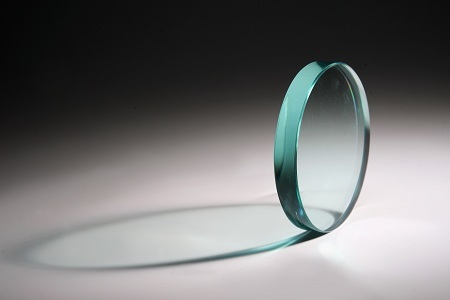 Circular glasses up 350mm dia and 30mm thick can be manufactured but this material cannot be toughened.